The six time Olympian from Serbia came back to victory in the 25m Pistol Women event at the Olympic Shooting Range of Sydney. Australia’s hopes Yauhleuskaya and Ryan finished in fourth and sixth. 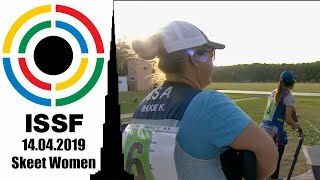 Serbia’s five time Olympic medallist Jasna Sekaric came back on the highest step of an ISSF podium by winning today’s 25m Pistol Women event at the ISSF World Cup in Rifle and Pistol events in Sydney, Australia. This wasn’t the first time that she competed here: on the lines of this venue she had won a 10m Air Pistol Silver medal during the 2000 Olympic Games, and probably experience played a determinant role in today’s victory. 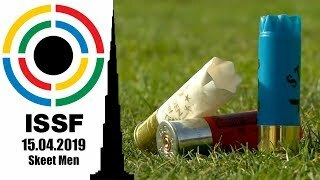 Entering today’s final round solydly in the lead with 585 points, Sekaric did not shoot at her best during the final match, scoring 197.2 points throughout the four final series. Thanks to her 3-point head start, she managed her margin over the followers, finishing in first place with a total score of 782.2 points. “I haven’t been training that much because we don’t have a indoor range in Serbia. Therefore I was a little bit nervous, you have probably seen it during the final.” Sekaric said after the round. 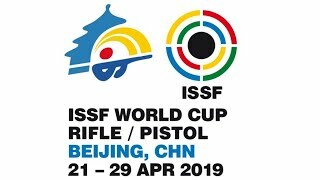 The 44-year old shooter had won her last World Cup Gold in this event in 2008, at the pre-Olympic World Cup in Beijing. 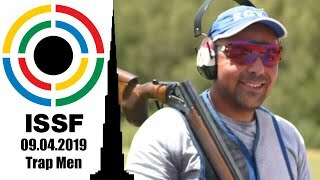 The Serbian sharpshooter, competing in each edition of the Olympics since 1988, has won an impressive record number of 59 World Cup medals in her successful sport career. Silver went to the 22-year old Russian shooter Anna Mastyanina, competing in her first final, today. The young shooter, ranked 53 in the world, grabbed her best results ever here in Sydney, claiming the Silver medal with a total score of 781.2 points, after scoring of 199.2 in the final. Just two tenths of a point behind her, Korea’s Boo Soon Hee secured Bronze with 781.0 points. The 42-year old finalist, an Olympic veteran of Seoul, Atlanta and Sydney, had won her last World Cup medal in 1994, in Munich. Entering today’s match in eight an last place, with the lower qualification score of 577 points, she climbed upon the podium by shooting today’s highest score in the final: 204.0 outstanding points. 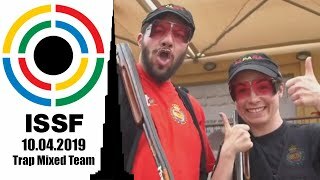 Today’s turned out to be a great event also for the host country, Australia, as two Australian shooters made it to the final round, ranking in fourth and sixth place. Lalita Yahuleuskaya turned out to be a little bit unlucky, as she missed the podium by 0.7 points finishing in fourth with a total score of 780.3 points. Her teammate Linda Ryan, an Olympians of Sydney 2000’s Games, understandably felt the home court pressure, losing the third spot she had on the start list to end up in fifth place with 778.6 points.